When Anooshka Zakarian’s retail business was robbed in February 2009, she found an invaluable silver lining: the unwavering support of her family and friends. Anooshka realized how fortunate she is, and that spurred her and longtime friend Ani Karapetian into action. Anooshka and Ani traveled to Kerala, India, and partnered with a vocational center that provides skills training to impoverished young adults. 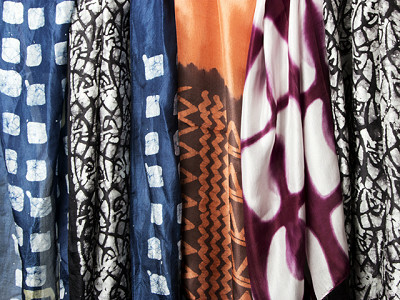 These artisans create 100% silk scarves that are hand-dyed using a blend of natural ingredients -- such as eucalyptus, mulberry leaves, lemon grass, and pine cones -- to create the stunning dye colors. In return, the artisans receive housing, medical care, access to transportation, and fair wages that allow them to provide for their families. After years of working in the fashion and retail industry, Anooshka and Ani craved more meaning in their work. They found it through their initiative, dubbed the Live One Vision Project. LOV’s goal is to make the world a better place by empowering women in impoverished societies, and Anooshka and Ani plan to expand their project beyond India, to other places around the world. Once scarf at a time, we all can help. Hi! My name is Ani and I am one of the co-founders of LOV Project. We are so happy to be a part of Daily Grommet and would love to share our story with you. Help us spread the seeds of love and empower the lives of women in need. Please free to ask questions. When Anooshka Zakarian’s retail business was robbed in February 2009, she found an invaluable silver lining: the unwavering support of her family and friends. Anooshka realized how fortunate she is, and that spurred her and longtime friend Ani Karapetian into action. Anooshka and Ani traveled to Kerala, India, and partnered with a vocational center that provides skills training to impoverished young adults. 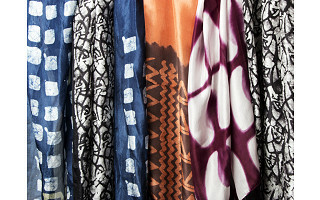 These artisans create 100% silk scarves that are hand-dyed using a blend of natural ingredients -- such as eucalyptus, mulberry leaves, lemon grass, and pine cones -- to create the stunning dye colors. In return, the artisans receive housing, medical care, access to transportation, and fair wages that allow them to provide for their families.